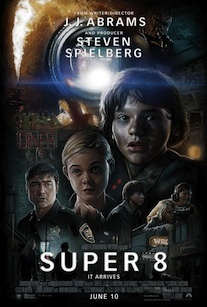 Super 8 is, as the title suggests, a movie about moviemaking. It is a coming-of-age story and monster movie all wrapped into one, with tender moments and extreme explosions in equal measure. It is a paean to the youthful enthusiasm for Super 8 cameras that, clearly, defined the developmental years of both writer/director J.J. Abrams and producer Steven Spielberg. In short, it is the kind of film that its young protagonists would love to be able to make, and that, happily, older versions of them have. I thought all of the characters felt authentic, which is what really put all of the action into perspective. I cared about Joe (Joel Courtney), whose own retreat into making Super 8 movies is as much about healing from his mother’s recent death—and his father’s distant parenting—as it is about creating a work that might be good enough to win a contest. I also cared about his friends, who each have their endearing quirks: Charles (Riley Griffiths), the chubby screenwriter/director, was my favorite, not only because his friendship with Joe is so profound, but because he is the kind of kid whose sensitivity is so utterly lost on his less mature friends. When he explains to the others that he expects to “thin out” in the next few years, the moment is both hilarious and heartbreaking. The few glimpses we get of his life show that he is just as rich with his own problems as Joe is (though blessed with two loving parents, it seemed clear that he isn’t receiving much attention, either); these two characters, along with Elle Fanning’s Alice, really contribute to a compelling drama. The fact that they are kids doesn’t make the story any less engrossing. But what is the story really? Prior to the movie’s release, it was one of Hollywood’s best-kept secrets, and led to a lot of speculation on just what kind of monster this monster movie had. Lest I ruin anything, I will simply say that the monster itself, like most monsters no doubt, is most interesting when viewed by the devastation it leaves in its wake. Abrams wisely keeps its appearance, and history, out of the first half of the movie, instead fueling the action with anticipation, suspense, and a few shocking attacks. This is what, in the beginning, our protagonists know: A train transporting some mysterious cargo is derailed, intentionally, by the kids’ science teacher, Dr. Woodward. A huge explosion follows, something is released from its restraints, and the military, almost instantly, floods in to secure the crash site. After that, strange things start to happen. All the town’s dogs wind up in other parts of the state. The sheriff goes missing. It is clear that something strange and sinister is at work, but it is hard to know what to do, or where to go for help. Even the Air Force can’t be trusted, for they won’t reveal to the citizens, or even Joe’s father—who is a police officer—what is going on in their small town. It is only when the kids develop the film from their Super 8 camera, which was still rolling at the time of the explosion and, mercifully, not destroyed by the flying wreckage, that they discover the true nature of what has been terrorizing their town. 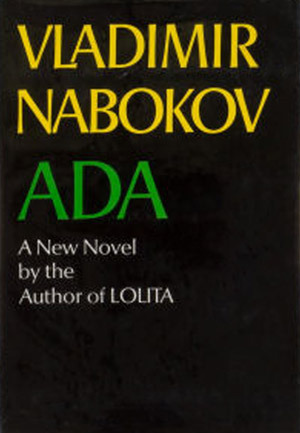 The story itself isn’t terribly unique or inventive, although it has a great set-up. In truth, the shroud of secrecy was probably unnecessary, for there are no electrifying twists, nor any unexpected subject matter. The fact that it was produced by Steven Spielberg should clue you in to where it’s going. That’s not to say that the movie doesn’t deliver. It is visually appealing (certainly worth seeing in theaters), and the acting is solid. Elle Fanning really impressed me—she has officially become my second favorite Fanning (ahead of Dakota, but behind “…with a giant palm while I eat grapes and am carried on a portable throne”). Still, all of the kids were good, and I really appreciated their earnestness. While the ending left me rather bored, it was redeemed by the completed version of the kids’ Super 8 film “The Case,” which played during the end credits. All in all, enjoyed the movie for what it was, a nostalgia trip that didn’t skimp on the action. Would I have preferred if it it been more about growing up, and less about things blowing up? Sure. But I’m boring like that.